All contracts will have a section that addresses what the management company can and cannot be held liable for. Some contracts are broader and more comprehensive than others in terms of what the firm requires the owner to indemnify them from. The property's non-compliance with any law or ordinance. Damages to Owner caused by a tenant's breech of lease. Are related to the management of the property and are not caused by Broker, negligently or otherwise. The following are common clauses found at the end of many contracts. This provision establishes that regardless of what you talked about with the management company before hand, this contract is the final version of the agreement and supersedes all prior written and oral proposals. The contract should contain a clause stating the contract can only be modified by a written agreement executed by both parties. Could the management company transfer their contract with you to another management company without your consent? Some contracts allow for this, so make sure there is a requirement that your approval is a perquisite for the management company transferring or "assigning" your contract to another firm. "A phrase that, when inserted in a contract requires that all references to specific dates and times of day noted in the contract be interpreted exactly. 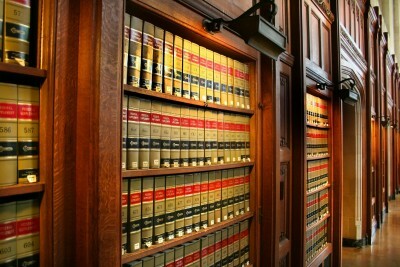 This clause determines which states’ laws will govern the interpretation of the contract, and may also specify the jurisdiction (county) in which all disputes are to be initiated and resolved. This clause allows the contract to remain valid and enforceable even if a specific clause is found to be otherwise. This way a legal error in the contract does not require the entire agreement be done away with. This concludes both our overview of property management contracts, and our series on what to look for in a property manager. I hope it has been helpful. As always, if you disagree with a point we've made, or have something to add, let us know in the comments!